Ingredients: aqua (water), glycerin, stearyl heptanoate, leithin, zea mays (corn) oil, aloe barbadensis leaf juice, butylene glycol, hydroxyethyl urea, certearyl ethyhexandate, stearyl caprylate, phenoxyethanil, triethanolamine, carbomer, panthenol, chlorphenesin, caprylul glycol, pyridoxine hcl, steareth-20, hesperidin methyl chalcone, hydrolyzed collagen, dopitassium glycyrrhizate, hydrolyzed viola tricolor extract, parfum (fragrance), xanthan gum, kigelia africana fruit extract, potassium sorbate, chlorhexidine digluconate, palmaria palmata extract, sodium bezoate, polysorbate 20, ethylhexyglycerin, n-htdroxysuccinimide, acetyl tetrapeptide-5, dipeptide-2, palmitoyl tetrapeptide-7, palmitoyl benzoate, polysorbate 20, ethylhexylglycerin, n-hydroxysuccinimide, entapeptide-4, chrysin, plamitoyl tripeptide-1, limonene. 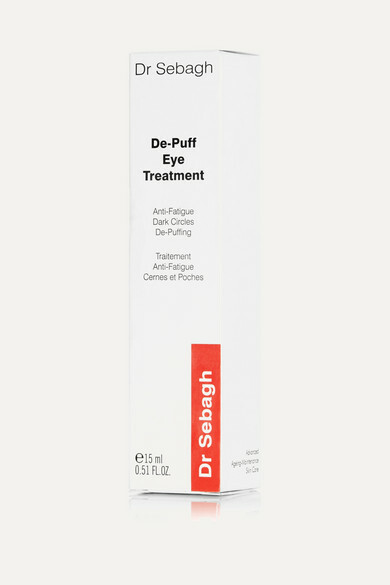 Dr Sebagh's high-performance products feature in the beauty routines of so many flawless women - Daisy Lowe uses this lightweight treatment to reduce the appearance of dark circles and rejuvenate tired-looking eyes. 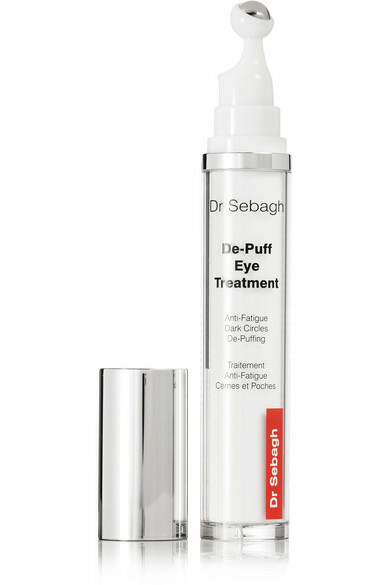 It's formulated with active ingredients and enzymes to combat puffiness and discoloration, leaving skin looking firm and refreshed.